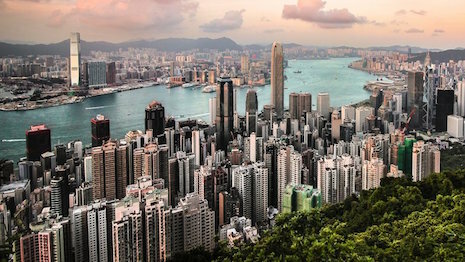 Hong Kong was home to the most sales of ultra-prime residential real estate in the last year, with a new report from Knight Frank finding the city surpassed New York and London. The first global ultra-prime real estate report from Knight Frank examines residential sales above $25 million. Knight Frank identified 17 ultra-prime markets, which had at least three transactions over $25 million annually over the previous three years. "The relentless creation of private wealth globally over the past decade has fueled the growth of ultra-prime residential markets," said Liam Bailey, global head of research at Knight Frank. Knight Frank categorized ultra-prime markets into three categories: ski resorts, second home destinations and cities. Cities make up the majority of ultra-prime markets, with the six highest-performing cities seeing $6.9 billion worth of residential real estate transactions in 2017 alone. Overall, transaction volume in those cities grew by 13 percent in 2017 and is expected to continue upwards. While Hong Kong had the highest real estate prices and the greatest average price over the last three years, London takes top spot for the most number of transactions above $25 million. 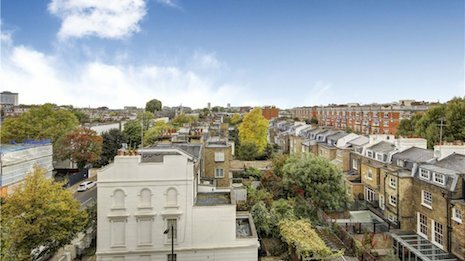 London had 72 ultra-prime transactions in 2015, prior to the Brexit vote, but that number has since shrunk. Since the pound remains weaker than the U.S. dollar, American buyers would currently save by investing in London real estate. The London market may also benefit as stock markets in other economies, such as Turkey, have continued to fluctuate (see story). In New York, $1.5 billion worth of ultra-prime real estate transactions were completed in the 12 months preceding August 2018. The ultra-prime market in New York grew 50 percent from 2015 to 2017, trending in the opposite direction of London. Other American cities qualifying as ultra-prime markets include Los Angeles and Miami, while Malibu, CA and Palm Beach, FL made the list as "second home destinations" and Aspen, CO was a prime ski resort market. Outside of the U.S., Sydney, Singapore and Paris were named as ultra-prime city markets. The Caribbean, Monaco and Cote D’Azur also made the list of ultra-luxury second home markets. The Swiss Alps dominate the ultra-prime markets for ski resorts, with three different destinations making the list. According to Knight Frank, markets as diverse as the French Alps, Beijing and San Francisco, CA may become ultra-prime real estate markets in the near future. Knight Frank's ultra-prime report offers a more in-depth look at residential real estate amid a period of slowing growth. Each quarter, Knight Frank’s Prime Global Cities Index tracks the movement in prime residential prices across 43 cities worldwide, 74 percent of which have seen an increase of prices year-over-year. In the United States, San Francisco was the city with the strongest performance. However, the rate of growth in the third quarter of 2018 has been the slowest in the last six years and is the third consecutive quarter of average price decline (see story). While record snowfall and improved infrastructure supported increased demand for homes in the Alps over the past year, property market regulations and the strong franc kept prices from growing, according to Knight Frank's 2018 Ski Property Index. Purchasing a ski home, instead of a home in a more mainstream market, is often a lifestyle choice for affluents. More than a third of the world's ski resorts are located in the French and Swiss Alps. Knight Frank evaluated trends in 16 alpine resorts over the period from June 2017 to June 2018. Thirteen resorts saw prices rise or stay stagnant, but as a whole the index declined 0.5 percent (see story).